Situated in the east of the country and by the end of the Yangtze River Delta, Shanghai is the largest city of China by population. The prosperity of the City attracts tourists from all over China and the world. It is one of the most developed cities of the nation, hence, the modern architecture and landscape is the key feature of this city. There are many famous historical landmarks and tourism attraction: the skyline and night view of the Bund, the peaceful Yu Garden, The city Gold Temple in downtown Shanghai. Moreover, Shanghai is certainly a heaven for shopping. The night life and cultural life of Shanghai are also known as one of the best in the country. Le Sun Chine Downtown Boutique was built in the 1930's in the former French concession of Shnaghai. This three story hotel is a real charm if you like antiques, The hotel is beautiful decorated with collectables and antiques as are the seventeen rooms, even the swimming pool is stunning. It will take you, from le Sun Chine Downtown, approximately 15 minutes by taxi to the famous shopping street Nanjing Road and the Shanghai museum or take the subway from station Jiaotong University. Le Sun Chine Downtown Boutique in Shanghai! This stylish and charming hotel offers all a travel needs, Aaron's House has a classic European atmosphere out of the time of the English and French concession. The 29 rooms all well-equipped and breath this charming historic feeling. Situated on short distance of many popular sites in Shanghai, 10 minute walk to Yuyuan garden and 15 minutes walk to the Bund, Aaron's House is a wonderful place to stay during your visiting in Shanghai. Based in the former French concession of Shanghai, with the Bunt as background and Nanjing Road on walking distance 88 Xintiandi Boutique Hotel, is a great option for you trip to Shanghai. 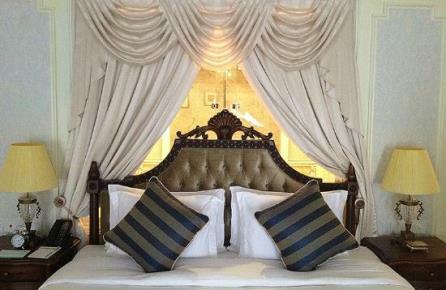 This medium sized hotel has 53 contemporary rooms with all possible facilities. If you prefer the subway instead of taking a taxi. Subway stations South Haungpi Road and Xintiandi are near 88 Xintiandi Boutique Hotel. 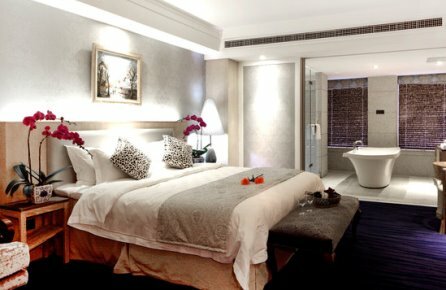 88 Xintiandi Boutique Hotel in Shanghai! The Waterhouse at South Bund gives you a beautiful overview of the Bund, maybe charming and romantic are not the right words to describe the 19 rooms of this hotel. 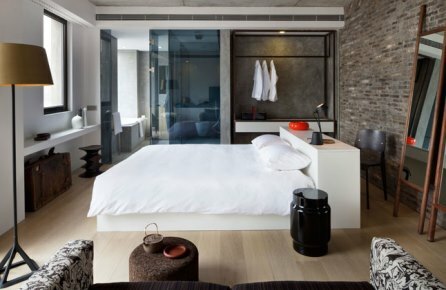 But the with the contemporary almost Scandinavian design The Waterhouse at South Bund has to be mentioned as a great alternative for your stay in Shanghai. Take a 10 till 15 minutes taxi drive to the shopping street Nanjing Road and the Shanghai Museum or take the subway from Xiaonanmen station. The Waterhouse at South Bund in Shanghai! Who expects a beautiful villa in the city center of Shanghai. 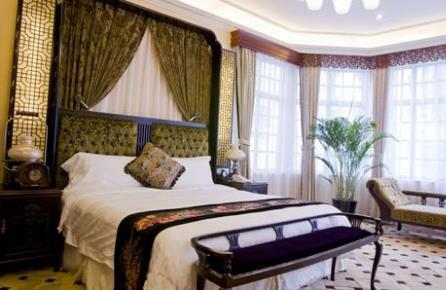 The Julu Garden Villa offers 22 rooms only 4 kilometers away from the People's Park and the Shanghai museum. Romantic, specious and well equipped rooms, surrounded by a beautifull garden will make your stay in Shanghai a real treat. From the Julu Garden Villa it is not difficult to reach all major spots by taxi or by the close by situated Changshu Road subway station. Julu Garden Villa in Shanghai! The suburb romantic and charming Moller Villa Hotel almost looks like a small castle from both the outside as the inside. The 43 beautiful decorated specious rooms combine eastern and western style and give an unique feeling. Located in the old French concession in the city center of Shanghai it is easy to walk to the Shanghai Museum, the People's Park or for shopping to Nanjing Road. If you Prefer subway instead of walking subway station South Shaanxi Road is the closest to the Moller Villa Hotel. Moller Villa Hotel in Shanghai! In the middle of the city center of Shanghai, only 2 kilometers away from Shanghai Museum, the People's Park and Nanjing Road Casa Serena Spa & Hotel is a perfect option for your stay in Shanghai. 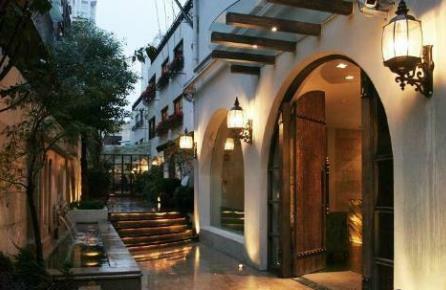 With its 13 rooms this charming hotel is a good alternative to the big hotel chains in Shanghai. With subway station South Haungpi Road at a stone warp distance of Casa Serena it is very easy to visit all major sides in Shanghai. Casa Serena Spa & Hotel in Shanghai! 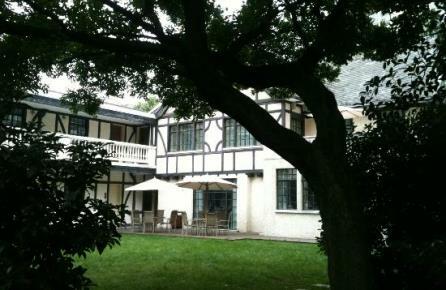 This charming colonial style hotel from the 1930's has only 9 rooms, surrounded by a beautiful Garden, you almost forget that you are visiting Shanghai a city with 15 million inhabitants. 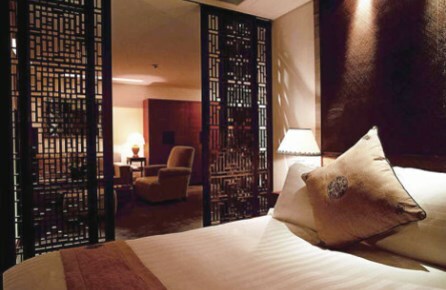 The Bund Garden Hotel is only 500 meters away from the Bund and 2 kilometers away from Yuyuan Garden. You can walk over Nanjing Road or take subway line 2, station East Nanjing Road, to go to People's Square or Shanghai Museum. Bund Garden Hotel in Shanghai! In the middle of the JingAn district in a historical building from the 1930's the Pei Mansion Boutique Hotel offers 29 rooms in a suburb surrounding. The hotels' interior and the specious rooms are decorated with antiques and artifacts of the time when Shanghai was divided by concessions. Nanjing Road, Shanghai Museum, People's Square, Jing'an Temple and the Bunt are all within a couple of kilometers and can be reached by taxi or subway. 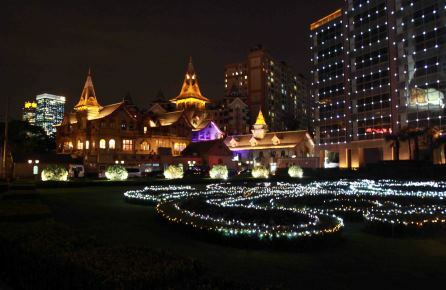 Two stations are near Pei Mansion Boutique Hotel, West Nanjing Road and JingAn Temple. 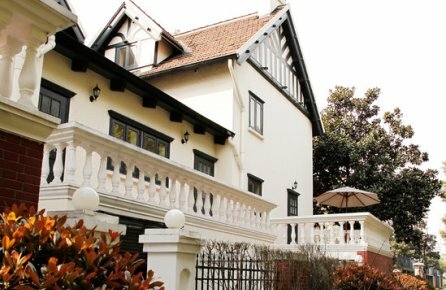 Pei Mansion Boutique Hotel in Shanghai! 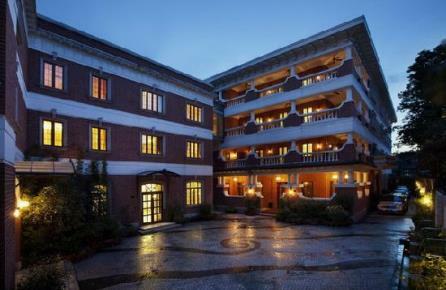 This charming seven story hotel is situated in the JingAn district of Shanghai. All the 42 rooms of The Duxiana Hotel offer comfortable beds and are well equipped for a pleasant stay in Shanghai. Within 500 meters of subway station Longde Road (Line 11) it is easy to visit the major touristic spots like Jing'an Temple, Shanghai Museum, the former French or English Concession and The Bund.